I have driven past this place almost every single week day on my way to uni and 7 months later, I've finally gotten round to trying it out! 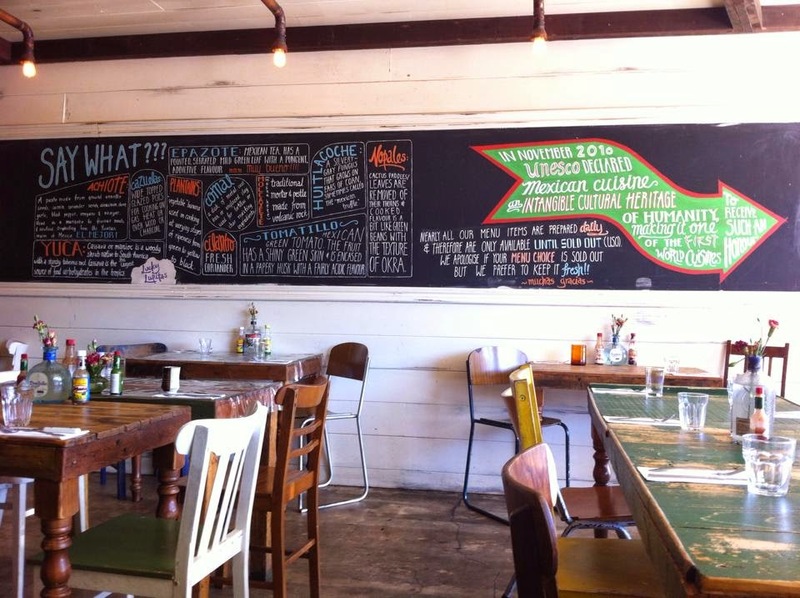 I first heard about Lucky Lupitas a few years ago and have visited their sister restaurant ULC, so it has been on my list of places to try for a while. 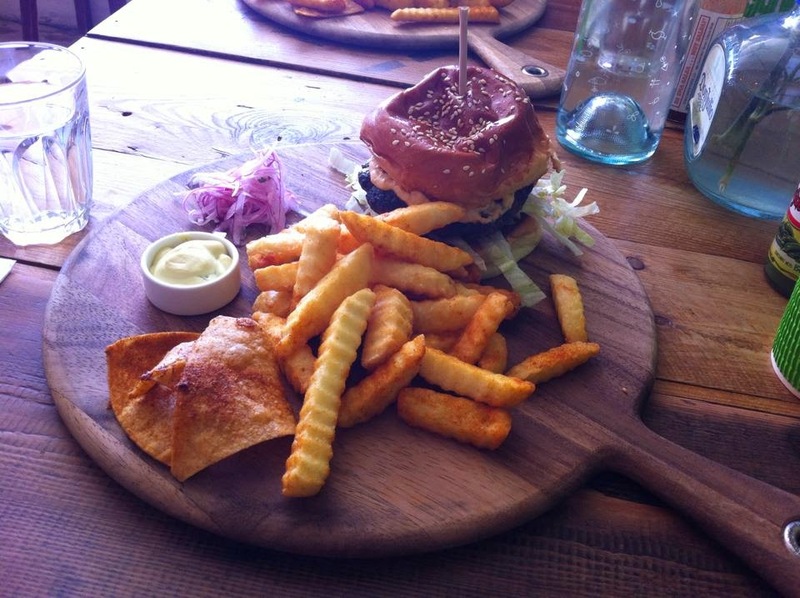 I'd also heard that they make a mean burger, previously named one of the best in Adelaide. We both really liked how the meals were presented and neatly laid out on the boards. Unfortunately the pattie was overcooked and dry to the point where it was crumbly and unpleasant. Having had quite high expectations from all the reviews I'd heard, I was unfortunately let down by the burgers. We were both quite disappointed with the dryness of the pattie and my friend found the mole verde in his burger rather bland, while I quite liked the chipotle mayonnaise. The chips were delicious, mainly due to the seasoning and the tangy yellow sauce that was on the board. I am not a huge fan of raw onions so I left the salsa criolla alone, although my friend tried it and said he wasn't a huge fan of it. Oh I wish I could say I loved my first impression of Lucky Lupitas but unfortunately that just wasn't the case. 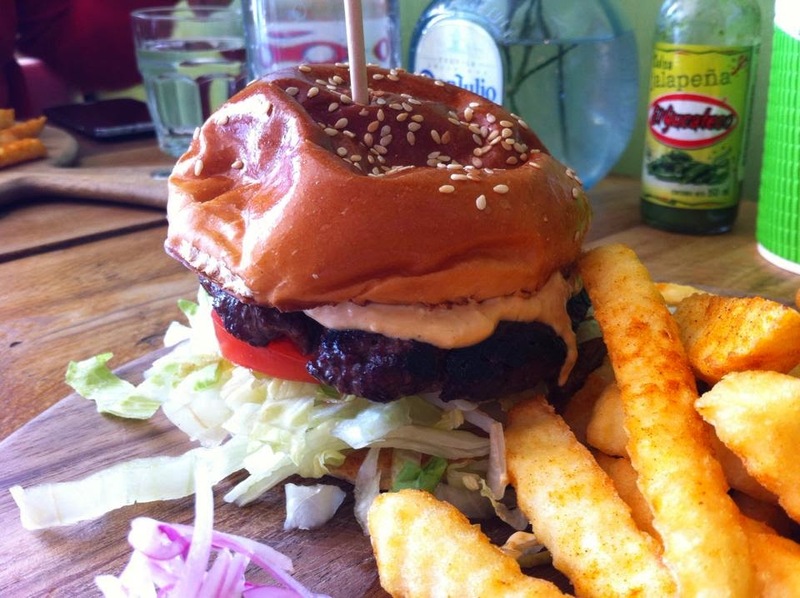 The claim of being "one of the best burgers in Adelaide" will have to be justified another time. 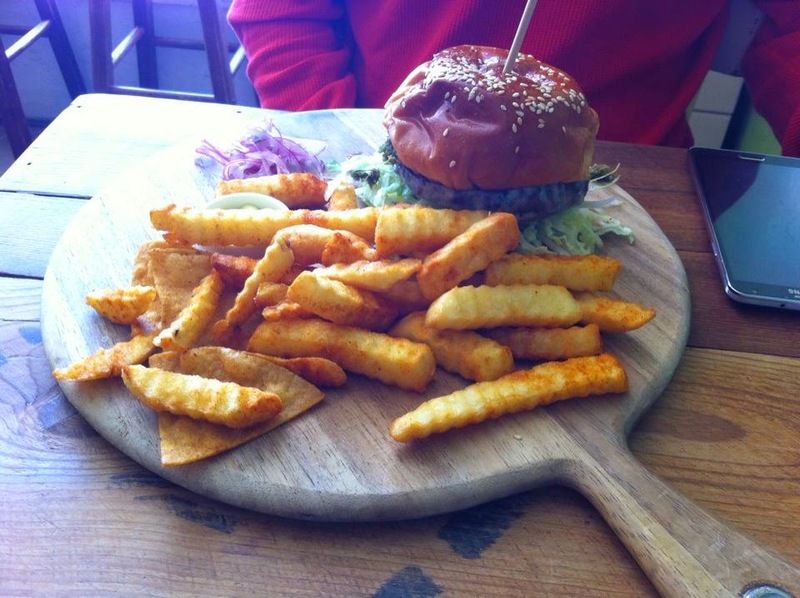 One thing both my dining companion and I agreed on was that the chips are seriously addictive! Service was pretty good, nothing exceptional, even though we arrived just before 12pm for an early lunch and were the only customers there. By around 12:30pm, Lucky Lupitas was absolutely packed with people coming for lunch from work, namely the Flinders Medical Centre. I'll definitely be giving them another go because I do believe they have something special to offer, we were just unlucky this time!